Babesiosis is a rare - but increasingly common - disease spread by ticks. 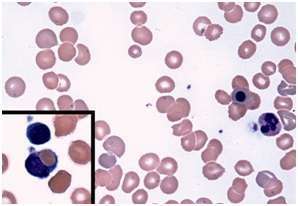 After a bite from an infected tick, microscopic malaria-like parasites are transmitted into the host where they can infect and destroy red blood cells, causing nonimmune hemolytic anemia. Treatment with antimicrobials usually clears the parasite and resolves the anemia. However, sporadic cases of warm-antibody autoimmune hemolytic anemia (WAHA) have been observed in patients after treatments for babesiosis. This autoimmune form of anemia occurs when the body attacks its own red blood cells, eliminating these cells from circulation. To better understand this complication, BWH researchers led by Ann Wolley, MD, and Francisco Marty, MD, of the Division for Infectious Diseases at Brigham and Women's Hospital conducted a retrospective analysis of patients who had been cared for at BWH from January 2009 through June 2016. Of 86 patients diagnosed with babesiosis during that time, six developed WAHA two to four weeks later, after the parasitic infection had been resolved. These six cases are presented in a study published online in the New England Journal of Medicine on March 8. In general, people who have weakened immune systems and those who have undergone splenectomy are at higher risk for severe and relapsing babesiosis, but WAHA after babesiosis in patients without history of autoimmune diseases had not been defined previously. All six babesiosis patients with WAHA were asplenic, meaning that their spleens had previously been removed. The researchers found that WAHA was much more common among asplenic patients with babesiosis, affecting as many as one in three of these patients. Many of these patients needed to receive immunosuppressive treatment to address WAHA. The research team offers both clinical observations on the six patients studied as well as plausible mechanisms that may explain post-babesiosis WAHA in asplenic patients. They also recommend that patients with worsening or recurring anemia after treatment be screened for WAHA, especially patients who are asplenic. "The post-babesiosis WAHA syndrome can be a hematologic complication of babesiosis, and asplenic patients appear to be particularly at risk," the authors write. "Understanding the activation of the immune response to babesiosis may elucidate the mechanisms of other causes of autoimmune hemolytic anemias."